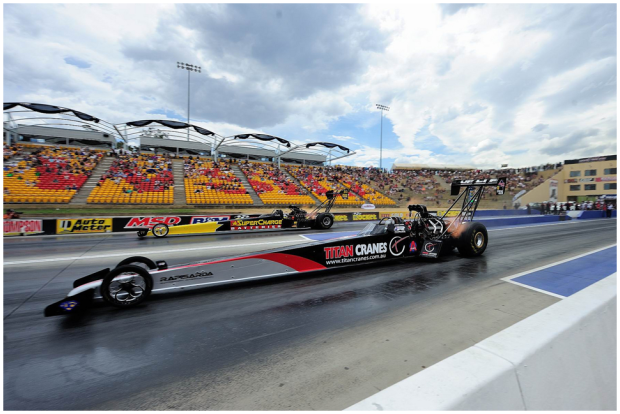 In less time than it takes to read this sentence Top Fuel Dragsters – the world’s quickest and fastest race cars – would have completed one of their earth-shattering quarter mile runs. In less than five seconds! Top Fuel drag racing is like a motor racing rock concert complete with stadium lights, smoke, pyrotechnics and chest-pounding, rib-shaking noise! Still, AC/DC has nothing on the Top Fuel Dragsters when it comes to putting on the most spectacular show on earth! You can expect to see these cars and so much more at the Australian Nationals, hosted by Sydney Dragway from Friday, October 31 to Sunday November 2. This is an event that will assault your senses, rearrange your entertainment values and literally #BLOWYOURMIND.